A Resolution I Can Live With! New Year’s Resolutions. How many years do you make them in hopes of fixing something that you think is broken or with the idea that by keeping them you will somehow improve your life? Very few resolutions can do all that, even if they were kept longer than the dried up Christmas tree in the corner of the room. This year is different. Along with a few typical “self-improvement” resolutions, I decided to make a few resolutions that would be fun to keep. For example, I’ve made a resolution to drink at least one bottle of non-Washington wine a month. I realized the other day that the wine I drink is almost all from Washington. As a result, wines from other regions can sometimes taste “different.” This happened to me when I lived in California too, only with California wines. When I moved back to Washington the wines here almost tasted sweet to me. They sort of reminded me of…and this is going to be a stretch and prove how very little I know about wine…they sort of reminded me of late harvest wines. Not all of them, but some of my favorite big reds from Red Mountain. Now that I’m used to (and loving) my big/ripe Red Mountain reds again, other wines sometimes taste light, or thin. I used to love lighter style reds and would like to stretch my palate a bit in hopes of appreciating them more again. I was lucky enough to get a great Christmas gift that will help with this resolution. My dad got me a case of wine from The Wall Street Journal. Yep, you read that right – The Wall Street Journal. They put together a mixed case of wines from all over the world…perfect for my new and favorite New Year’s Resolution. Cheers to a New Year and a resolution I can live with! As of today I have a new rule…a bad day at work equals a good bottle of wine. Today happened to be a bad day at work so I thought I’d try out the new rule and open a good bottle of wine. Since it’s been ages, I thought I’d do a quick review as well….a review of the wine, not of my bad day. Nose: Great fruit – plums and cherries mostly; hint of vanilla and maybe a little clove? Remarks: This is a great wine with or without food. I’d like to say how it will mellow and improve with age but the truth is, I can’t seem to age this one too long. My only regret is that I didn’t buy more of it when it was available. I won’t make that mistake when it becomes available again. Tasting notes and comments from Woodinville trip on 11-14. Yeah, it’s been that long since I’ve updated this blog. What can I say? I’m hoping to do better in the New Year. Isenhower – This is a new tasting room that dad and I were really happy to hear about. 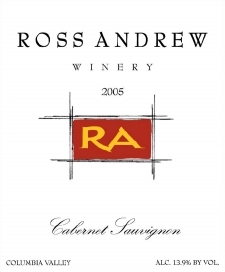 We’ve been fans of their wines (especially the Cab Franc, also called “The Roa d Less Traveled”) for a long time. We’re glad they opened a tasting room over here as we don’t get to Walla Wall very often. The space is shared with Maison Bleue and is really well done. The colors are great and there is plenty of room. It helps that we liked everything they poured. Dad is a member of the wine club but if I remember correctly, there is no tasting fee for non-members either. 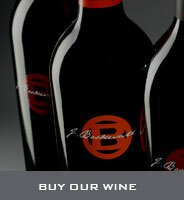 Wines are great, labels are pretty and the prices are fantastic! Maison Bleue – as mentioned, they share a space with Isenhower. I hadn’t heard of this winery at all until the joint tasting room opened up. They make a very nice Viognier and we also tried a nice Grenache. From what I read on their website, they concentrate on Rhone varieties. I look forward to tasting more of what they have to offer. J Bookw alter – Another great example of a tasting room opening up on this side of the mountains. Dad and I had been to their Richland location once (many years ago) but now that they’re local we’re there much more frequently. Their tasting room (also called a “tasting studio”) is really nice. It’s huge and is located next to Mark Ryan and Ross Andrew…a triple threat. The wines are very good and can be found in all price ranges. The Subplot and The Protagonist seemed to be everyone’s favorites on this trip. Oh, and the names of the wines have a literary theme which I think is great! Neat place all around. Adams Bench – What a nice treat to be able to visit them again! They aren’t open often but happened to be pouring today so we stopped by. Once again I loved the Myth – a Cab Franc/Merlot blend. All three wines were very good and I don’t believe I saw anyone leaving empty handed. Erica Blue (one of the owners) was pouring and really having a good time talking with everyone. As a result, she made it an enjoyable experience for everybody – it’s always contagious to be around people that love what they’re doing. Pomum – This was his once a year release and a great time was had by all! The new release was “Tinto” which is a Tempranillo (80%) and Cabernet (20%) blend. Great wine! The other wines that were being poured were the Syrah and the Shya Red – a Bordeaux blend that I flip for. The music was good, the passed appetisers looked great (I was holding Vegas so we didn’t sample anything – much to his disappointment!) and everyone there seemed to be having a great time. In fact, I didn’t want to leave! Hestia – They were tasting the new Cabernet and the new Merlot, both were fantastic! The new Merlot is all bright fruit, very little tannins and absolutely wonderful! The Cabernet is young but drinking really well. Good fruit here too although (as expected with a Cab) a bit more tannins. I loved both and bought both. I don’t know that I’ve ever been here and not left with at least a couple bottles. William Church – The latest release of Bishop’s Blend is here and it’s fantastic! We stopped by for a quick taste and to say hello to Margot (from Write for Wine) who was there talking to people about social media. William Church is one of the Woodinville wineries that is active on Facebook and Twitter. They’ve even incorporated a neat new contest. You’ll have to check them out to see what I’m talking about. Patterson – We always look for an excuse to stop here. Sometimes we stop with no excuse at all. This time we could blame it on the Malbec. Patterson Cellars just released a 2006 Malbec and it’s fantastic! I’m not always wild about Malbec on its own so I wasn’t sure what to expect. I’m so glad I didn’t just pass it up thinking that I wouldn’t like it. I loved it – even bought a bottle! As usual, we loved the people there too. Baer – Arctos release party and a super-duper sale on Ursa…of course we had to stop by! As is always true with Baer – everything was fantastic. The Ursa is consistently one of my favorite blends in Woodinville. The blend in the Arctos changes from year to year but is also very good. I like it best when it is Cabernet dominant, which it is again. And I can’t wait until they release their Cab Franc! They’ve never done a Cab Franc varietal and I’m betting that the wait is going to be well worth it. Whoops – I’ve had this sitting in a draft folder – thought I’d published it. Please note that it’s about 2 weeks old at this point. Chatter Creek – A Cotes du Rhone in Woodinville? Really? Yes – really! Gordy made one and it is wonderful! Light, fruity, approachable – everything you would hope and expect it to be. The other new release that had all of us drooling was the new Cab Franc. He always does a nice job with this one and the new release does not disappoint. Honestly, none of his wines disappoint. In addition to releasing new wines, he also had a screaming deal on his Cellar Cat Red – a case for $100, an additional 10 bucks off that if you’re a wine club member! I love a good deal on a great wine! Cellar Cat is his “not-enough-to-make-a-varietal” red blend. I believe it’s his first time making it but hope it isn’t the last. Gorman Winery– Chris Gorman doesn’t have ‘regular’ tasting hours and is usually only open when he has new wines to show off. Boy were his new wines worthy of showing off! His release party featured four new releases: Big Sissy (Chardonnay), Zachary’s Ladder (Red Blend), The Pixie (Syrah) and The Evil Twin (Cab/Syrah Blend) – all were really great, as always. The Zack’s Ladder was tasting really well, like it was ready to be opened and enjoyed now. The Pixie and The Evil Twin were both fantastic and will probably be even better after a little age. That being said, I am not the best at aging wines anymore, with the exception of my beloved Cabernets. Everything else is fair game and these would be no exception. It would be very hard for me to try and hold on to The Evil Twin for long. Alexandria Nicole Cellars – We had to stop here because – well we love it, plain and simple. There were no new releases here today but everything we had was great. I particularly liked the latest Quarry Butte and (as usual) the Cabernet. I was lucky enough to get a quick taste of the already-sold-out Lemberger and really liked that as well. If you aren’t a member of this wine club, you should think about joining. Not only do you get access to the secret tasting room behind the bookshelf door, but you also get to enjoy some of these small production wines, like the Lemberger. Really, this winery has something for everyone – great red and white wines, great tasting room staff (Kathy rocks!) and a nice range of prices to fit anyone’s wine budget. Red Sky– Carol Parsons is such a wonderful winemaker! The new Cab (only enough made for wine club members) is so good and the new Merlot is out of this world! We were lucky enough to enjoy a vertical Merlot tasting. The 03 (only available in 1/2 bottle size) and the latest one, the 06, were the stand outs. I expect both will sell out before too long. We tasted some of the other wines too and, as usual, all were very good but I was in love with the 06 Sunrise. This is such a nice blend. I recently brought a bottle on a camping trip and insisted that several people try it, even people that don’t drink a lot of wine. All loved it. The Sunrise, 03 Merlot and 06 Merlot should not be missed. Page Cellars – I hate to admit it, but I haven’t been into this winery in years. It’s one that I’ve always liked but didn’t go into because I didn’t realize they had more than just a couple wines. I was so wrong and I will not wait years to go back. I believe this release party was for The Red Zeppelin (Cab Franc) and for The Norseman (Merlot). Both were delicious, as was the Preface, a Cab dominant blend and the wine that I always think of when I think of Page Cellars. We were lucky enough to spend some time at the bar with the winemaker, Jim Page. 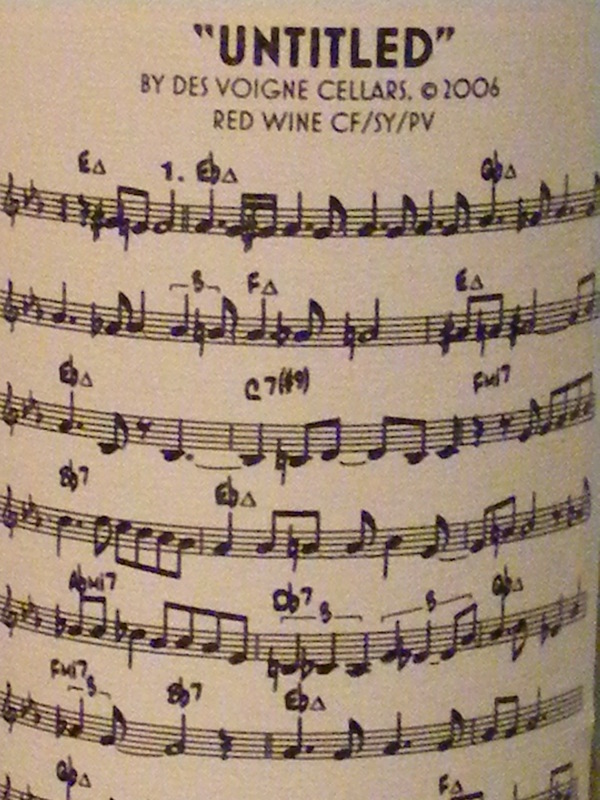 It’s only fitting that he have a “Red Zeppelin” wine, isn’t it? This was one of my favorite wines of the day – a tasty 100% Cab Franc and a $20 price point. That is a winning combo in my book. I started out asking for one bottle, then a second and then finally a third. Can’t have too much of a good thing, right? I know, I know – I don’t need to buy anymore wine. But this one just may sell out in a hurry and I’d kick myself if I didn’t get a few when I had the chance. William Church– New releases were the 07 Syrah and the 07 “2 Spires” which is a Cab/Syrah blend. Both were outstanding! Also tasting really well was the Bishop’s Blend. Although this is not a new release it is still a home-run in my book. I’d never been to a release at William Church; they put on a very nice event. The tables were well spaced, the food was good and the check out was a breeze. If you’ve been to a lot of releases in Woodinville you know that sometimes it is really difficult to actually buy a bottle of wine at the end of the tasting. More places could (and should) take notes from William Church. Cuillin Hills– No matter how many or how few people are in here, it always feels like a party. Derek is just down right nuts, and I mean that in the best possible way. He’s funny, talkative and the farthest thing from a wine snob. Oh, and his wines are sensational! Our favorites this trip were the Dungeon Syrah, The Shackled (56% Syrah and 44% Mourvedre) and the Claret, a well balanced Bordeaux blend. It’s hard not to come here every single time we’re in the warehouse district. Sparkman Cellars – I was excited to see their new winery space. It’s right across the parking lot from their former location so it’s really easy to find. The space is more open and has a nice feel to it so far. And as always, the wines were very good. The Wilderness is always one of my favorites – but the Ruby Leigh – wow is that great! The only thing missing from this visit was the winemaker and his family. My guess is that crush has them all pretty busy. Guardian Cellars– They moved as well…right next to Sparkman! I will admit, I was initially sad to hear that they were moving because I loved the former loc ation. Yes, it was small and yes, it could get too crowded . Still, it was cozy. The new location is much bigger and really quite nice. They’d only been open a week so things weren’t completely done but I could tell this tasting room was going to be nice too. And the wines…so good, all of them. My favorite here was (and usually is) the Gun Metal. Here too, the only thing missing was the crazy winemaker, Jerry. His girlfriend, Jennifer, took good care of us though and seemed to have things running smoothly. Challenger Ridge– This was a new stop for me. It’s a neat little tasting room; actually it’s more like a little house. They had about 4-6 wines to taste, the most interesting being a Pinot Noir made out of grapes from Concrete Washington! Not only is it noteworthy to have a Pinot from Washington…but Concrete? For those of you not familiar with the area, it isn’t a typical wine growing region. The wines were nice although because they were done in a lighter style, we probably shouldn’t have made this our 10th stop. I’m pretty sure I was suffering from pallet fatigue at that point. Still, it was a nice place and I will be back – earlier in the day next time. If you happen to visit them, be sure to check out the cute wine signs and sayings that are posted!